Republicans control the White House and Congress. They run the federal government. Yet the Trump administration has now hinted a few times that a government shutdown might be an OK way to resolve a budget impasse this fall. Last month, President Trump tweeted: "Our country needs a good 'shutdown' in September to fix mess!" And on Tuesday, Treasury Secretary Steven Mnuchin backed up his boss when asked whether there can be a "good" shutdown. "At times, there could be a good shutdown, and, [at] times, there may not be a good shutdown," Mnuchin said at a Senate Budget Committee hearing, responding to a question from Democrat Tim Kaine. To be clear, Mnuchin added, a shutdown is "not our primary objective." Practically speaking, a shutdown is a waste of time, energy and money. Not to mention a colossal inconvenience to taxpayers who need government services or are simply planning a trip to a national park or museum. Any or all of which could be closed or curtailed during a shutdown. Mnuchin noted that he wouldn't want to see any "critical infrastructure of the United States government" shut down "if we were spending too much money on things and we couldn't come to agreement on things that were not critical." Of course, what is and is not critical could become the subject of yet more debate. But that's another matter. It's confounding that the Trump administration would advertise its willingness to go to the mat essentially with its own party. Not that there won't be budget disputes with Democrats, but Democrats aren't the majority in Congress. The truth is the GOP, with its competing factions, is a complicated beast right now, said Phillip Wallach, a senior fellow in governance studies at the Brookings Institution. Still, Wallach noted, "it's hard for me to understand why the current administration would see [a shutdown] as anything but a failure of management and a failure of politics." 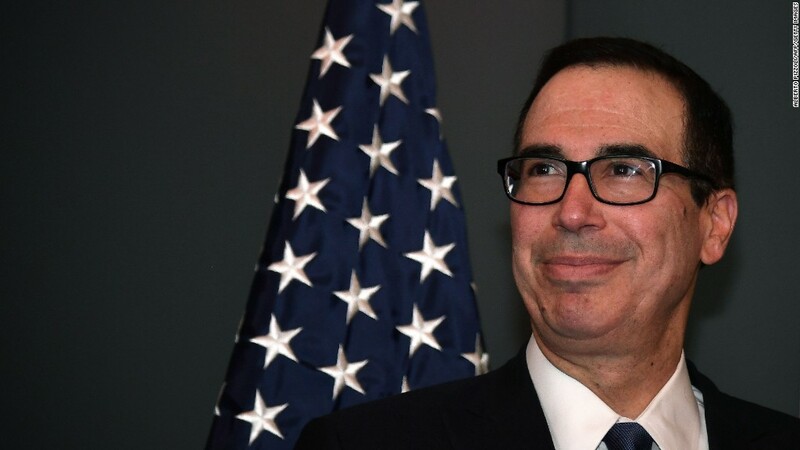 What's more, a willingness to hint at bare-knuckles tactics over funding the government might not bode well for Mnuchin's stated desire for Congress to raise or suspend the debt ceiling. The debt ceiling is a legal cap on the country's borrowing limit. If Congress doesn't act on time, Treasury would risk a default -- likely in the fall -- because it needs to keep borrowing to pay the country's bills in full and on time. To be clear, a government shutdown and a debt default are two very different things. A default is far worse, because U.S. debt is considered the safest investment in the world. A debt ceiling crisis would be "flirting with disaster," Wallach said. Shutting down the government would just be dumb.